The beginning of fall brings with it fresh opportunities for homeowners to make some much-needed updates to their property. Some choose to spruce up the insides of their homes while others focus on the exterior. Here at Champion Services, we believe there’s one thing you can’t afford to ignore this time of year: roofing repairs. Any roofer will tell you that this part of your home needs special attention during the fall. 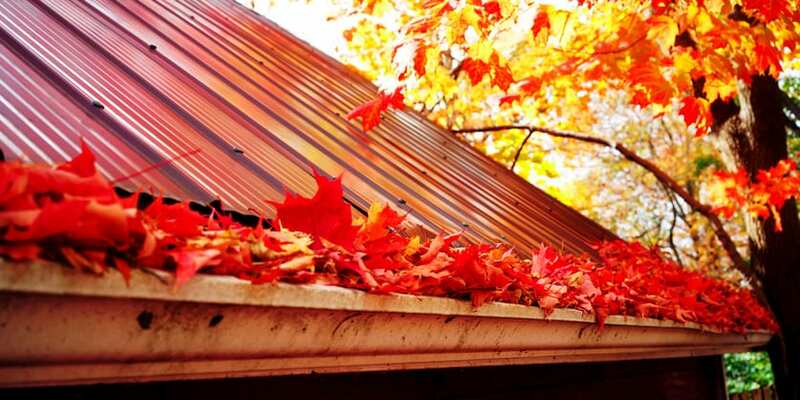 Here are four reasons why you should tackle roofing repairs in the fall. The temperatures make it a perfect time for repairs – Fall gives roofers a better chance to finish roofing repairs on time. Cooler temperatures make it easier for crews to work faster and spend more hours on the job. Fall’s fair weather also allows you to get all your repairs made before the cold winter weather kicks in. Waiting until winter increases issues – Speaking of winter, waiting to call a contractor for roofing repairs will almost always end up being costlier. Roof damage can get worse in a hurry thanks to cold, wet weather. Damaged shingles can let in moisture, which can lead to roof leaks. What if we get a heavy snow and your roof isn’t ready? You could have a real mess on your hands. Assess storm damage and make the repairs you need – Spring, summer, and the beginning of fall are prime times for severe weather. But towards the middle of fall, the weather always seems to clear up. Your roofing contractor will have a better chance to properly assess any roof damage that’s occurred over the summer, then make the repairs you need. A repaired roof helps you save on heating costs – Did you know that by taking care of roof repairs now, you can save on heating costs this winter? It’s a pleasant surprise for many homeowners. Once your roof is repaired and airtight, you’ll find that it traps in warm air. Your heating system will work more efficiently, saving you money. Do you need roofing repairs? Don’t wait to contact Champion Services for a free roofing estimate. Let us help your roof be its best for the fall.